TGx:Details for torrent "[FreeCourseWeb] Udemy - 2019 Wordpress 5.0 Gutenberg With A Twist"
Torrent details for "[FreeCourseWeb] Udemy - 2019 Wordpress 5.0 Gutenberg With A Twist"
Have you upgraded to the new WordPress 5.0? If not, you’re going to want to do that right away. It’s always a good idea to immediately update to the latest version of WordPress. Running an old version of WordPress opens you up to all kinds of security issues. Plus, WordPress 5.0 has a whole lot of new features. Some of those features may seem very strange to even long-term WordPress users. Have you seen the new Gutenberg editor? If so, then you probably felt like pulling out your hair. It’s not as easy as the past WordPress editors. It can seem overly confusing at first glance. Somehow, they’ve managed to simplify things the best way they could. It’s kind of hard to believe anyone would make something more simple, but yet more confusing at the same time. Somehow the good folks over at WordPress were able to do this. It was a feat that had to take many different geniuses to pull off. How do you select the category? Have you tried to figure that one out? If so, then you already know how the simplest things cause the most significant amounts of confusion. You may have spent countless hours trying to figure out something as simple as how to select what category you want your post to be in. Don’t worry; everyone has been here. You don’t realize it now. But, the changes really are improvements. The reason you don’t see it as such is that of how difficult the new interface at first appears. You need to know that it’s not so difficult at all. In fact, you’ll be amazed by how much easier WordPress is to use now. That might seem like a far-fetched idea to some, but you really will see this new version as more straightforward to use. It’s definitely an upgrade, and this is the direction WordPress is going. There is no looking back, and it’s best that you learn how to make the most of it now. Watch as I show you the how you can easily use the new wordpress editor to make posts like pros. In this video training I reveal all my best tips to you on what I do and what are the tools I use to get it done fast. It will be after you watch our videos. We’ve addressed all of your concerns in our videos. You’re learning from an actual WordPress expert who knows what they’re talking about. You’ll get a bird’s eye view of how they use WordPress. This will give you invaluable insight as to what you should do. whatsoever after watching our videos. You’ll be able to update your blog and make the most out of this latest update. The risk of putting off upgrading to the new WordPress 5.0 is having your site hacked. Some hackers do nothing but search the internet for sites running older versions of WordPress. When they find an older version of WordPress, they hack it. 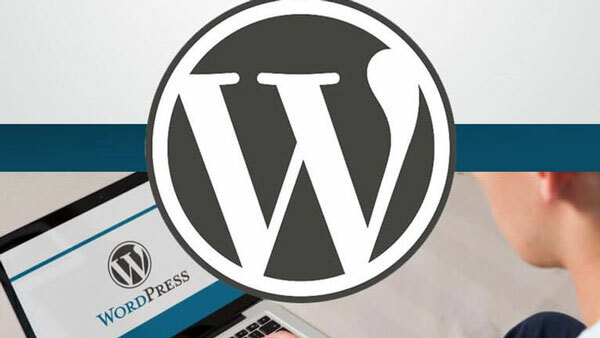 Upgrading WordPress is a vital part of securing your site. Not upgrading because you don’t understand how to use the latest version of WordPress can be a costly mistake. Don’t make that mistake. Instead, watch and learn from our videos on how to make the most out of this fantastic new blogging experience. Sign up for this training today and make your future as bright as it possibly can be. Over the years, this service gained extreme popularity among the general public as well as business entrepreneurs. With the latest update of the platform, there are so many new features to be learned inside. This is a very detailed 20 step-by-step video series titled 'Expert Editing With Wordpress 5.0'. It's a very practical course that even a complete beginner can follow and get results with it. No fluff theory - only actionable steps to succeed.